Here we are at another Monday. Why do the weekends go so fast! 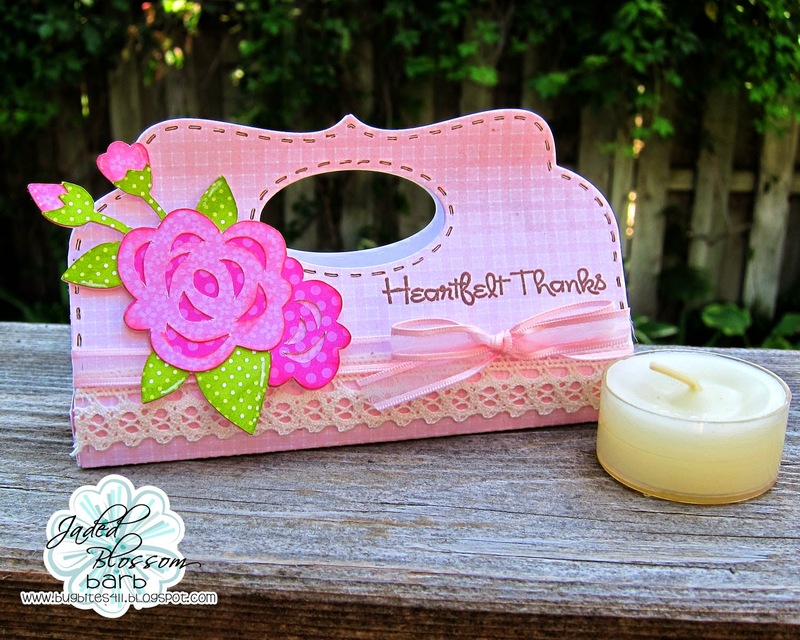 Barb from BugBites here with a project using one of the newest products in the JB store, the Candy Caddy Die. It's a bit girly but I think a it's a pretty little thank you gift. I cut all the parts and put them together. Then added the lace, ribbon and svg rose cut file that I found in the Silhouette store. The sentiment is from the JB Kind Thanks stamp set. I have several of these tealight candles and three of them fit perfectly in the tray die perfectly. This Candy Caddy die set is a must have! I love this! 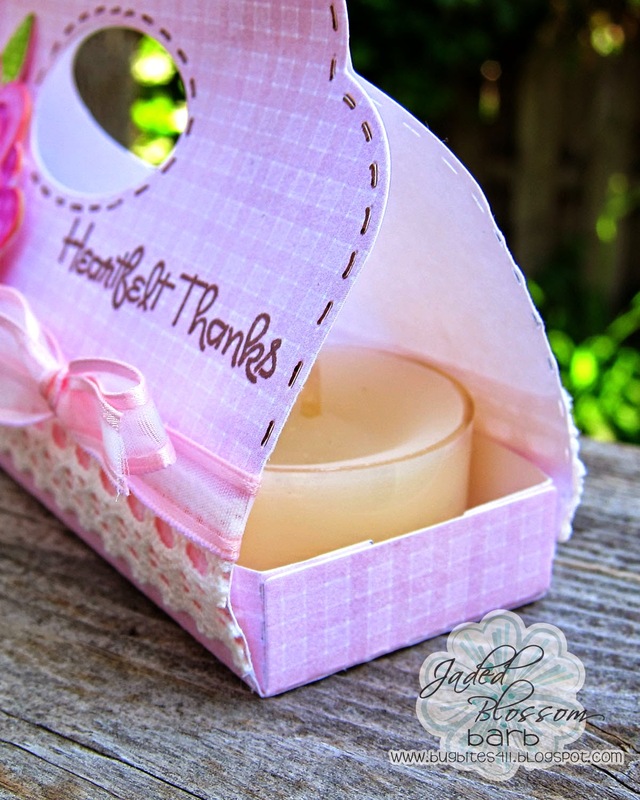 It is a perfect little hostess gift! I never like to go to parties empty handed.